I decided to skip the iPhone 4S. You can read about my reasons here. It would work for a while but then the conflicts and errors would come back. It's annoying but not a show stopper. I'm still looking for a solid fix. You can also sync outlook to iCloud . It seems like you would get some redundant syncing with all these methods having devices sync both through itunes wifi sync and iCloud all against outlook. I wonder if it would be better to disable calendar and contacts syncing through itunes and do it only through iCloud. You can force a wifi sync through settings|general. Notes syncing is also less than ideal. Once I turned on icloud notes sync I had to create a @me.com email address. This creates a new account in the notes app which is separate than the account where I was syncing with gmail which was also separate what was only on my iphone, which is also separate than what was synced with outlook. I couldn't find a way to just say sync all the notes I have across all accounts to iCloud. I know, I should probably just stick to using evernote instead but sometimes I just want to fire up notes quickly and jot something down. Even more confusing is if I'm in the all notes view and I create a new note it ended up in the gmail account vs the iCoud account. I can't even seem to specify I want my iCloud account to be the default for newly created notes when in the all note view. UPDATE: So here's what I did to get everything to sync using iCloud as much as possible to share data between my macbook pro, a windows 7 x64 desktop with outlook, iphone 4, and ipad 2. I don't really plan to use my @me.com email for anything really except to enable syncing. I disable calendar and contact syncing in itunes (I still left notes outlook syncing on). Enable wifi sync in itunes. In the icloud control panel I enabled contacts and calendar syncing with outlook. This creates a new icloud section in outlook for contacts and calendar. On the iphone and ipad I enabled all iclould syncing options. Mac: Update iPhoto and enable all icloud syncing options. Fire up the mail app and setup your new @me.com email. This way you can get to notes. Contacts and calendar should should sync with address book and iCal. This in theory should let you make changes anywhere in any of those devices and then sync across all devices using icloud. icloud.com is quite nice and lets you not only view but edit most of your icloud data (contacts, calendars). Find my iphone is also here but notes is missing. You have to fire up the email app with the @me.com email you created when you turned on icloud notes. Yeah, overall notes is a complete mess and is anything but simple or "just works." Photo stream actually works quite nicely especially on windows. The windows iCloud control panel lets you choose a download and upload directory. It's clean and simple just the way I like it. On the mac it syncs with iPhoto which is ok if you like iPhoto (which I don't). Apple ID strategy: I have one main apple ID that I share among all my apple devices so you can share itunes purchases like apps. The problem is when you also use it for iCloud. You can in fact use a different apple id for iCloud vs the store on the same device. Also, it makes since to use different apple id's in certain cases. So every device uses the main apple ID that is used for all purchases for the store. I use the same apple ID for iCloud on my iPhone 4, the iPad 2 (since I use it the most), and my macbook pro. This way I can share photos, documents, contacts, calendars, etc among all my devices. It would make no sense for my wife to share my apple ID for her iCloud which would mix up contacts, calendars, documents, photo streams, etc. She uses her own apple ID for iCloud on her iPhone 4 and macbook pro yet continues to use the main apple ID that the purchases are on on both of her devices. This also helps get by the 5gb free space limit used for backups. I could NOT backup both my iphone and ipad (both nearly full) within the 5gb. Once I toggled off backing up certain apps that contain a lot of user data like good reader (pdf's, videos, etc) I was able to get it to all fit. The one drawback is this splits up find my iphone because it's tied to the iCloud apple id. The new find my friends app though works well enough. The reader feature is nice in safari. Just realize it doesn't work on every web page, only the ones it thinks are articles. When it is on a compatible page a reader button will appear in the address bar. You can 4 finger swipe on the iPad to swap between running apps. You can also 4 finger swipe up to bring up the task bar. I love the tab browsing. Wife's visual voice mail got wiped out again but after entering the password it was re-enabled. 1password required re-entering the master password to get dropbox syncing working again. iSub cache was wiped out after the upgrade. You can't put newsstand into a folder because it acts more like a special folder than an actual app. I found a few magazines that were actually a bit cheaper than zinio and nook. Just keep in mind these are actual individual apps that meet certain specifications to appear in newsstand. That means you are tied to iOS devices only. With zinio and nook you have broader device support. Right now I still really like the nook for the pricing and selection. I just wish it had push notifications for when new issues arrive (or at least an email). The lack of free trial issues in newsstand is rather annoying. It should be a requirement for every magazine in newsstand to offer at least a free preview of 10 pages or so. I like the new usage view in settings especially the apps sorted in the amount of space each is using. 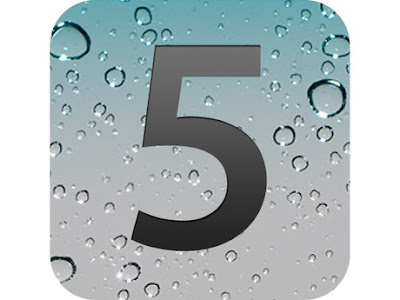 iOS 5 brings a lot of new features but IMO quite a bit of complexity too if you have a lot of devices and platforms. Notes is a mess but the rest I like. It's definitely a lot of functionality for free so I can't complain too much. New iOS 5 is absolutely stunning. Is shows once more why Apple is the leading company in mobile technology. The only thing I wish is that Apple made iCloud more profitable in comparison with other cloud services.